Our mission is simple: to provide development opportunities for the next generation of producers & creators. Curated by industry veterans, Steel Sessions™ events are one-of-a-kind. 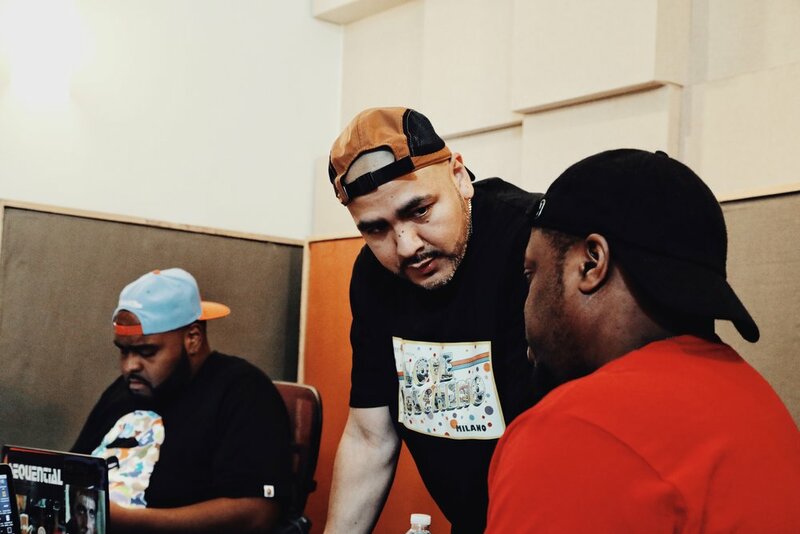 We make every effort possible to increase the ability of every producer that attends our workshops with unlimited opportunity for growth and development with some of New York City’s top producers, Buda & Grandz and Mike Kuz. These workshops take different forms, including the In-Studio Experience. Each event has its own special guests or sponsors who make the event unique and interesting. Something to always walk away with on the Steel Sessions community of producers and engineers who are changing the game one producer at a time. Our events attract a diverse audience of creatives, including producers, artists, musicians, A&Rs, photographers, videographers, designers and industry vets. You never know who you could rub shoulders with at a Steel Sessions™ event. The phones are out! Content from our events is shared across nearly every social media platform. We leverage relationships with special guests and influencers to further extend coverage of our events to a larger audience. There’s a reason why our attendees keep coming back for more: because we pay attention to the details, and offer a truly unique experience. Become part of our online community by entering your info below.